Welcome to the COLDCOCK™ website, operated by Zeiler Spirits LLC (“Coldcock Spirits”). The following terms and conditions (these “Terms and Conditions”) govern your access to and use of this website (the “Site”). By accessing the Site or using its current or future services, you indicate that you have read, understand, and accept these Terms and Conditions. Coldcock Spirits is permitting you to use the Site subject to these Terms and Conditions and our Privacy and Security Policy. If you do not agree to be bound by these Terms and Conditions, you are not authorized to use or access our Site and should exit immediately. You ratify your agreement to be bound by these Terms and Conditions by using or accessing the Site. Coldcock Spirits reserves the right to modify these Terms and Conditions at any time in its sole discretion. Any use of the Site or its services following modification of these Terms and Conditions will be deemed acceptance of those modifications. Please review these Terms and Conditions periodically for the most recent version. Subject to applicable law, any modification of these Terms and Conditions will apply to all transactions and information then or thereafter in the control of Coldcock Spirits and its service providers and suppliers. These Terms and Conditions constitute the entire agreement between you and Coldcock Spirits with respect to the subject matter of these Terms and Conditions. Any questions, comments or complaints regarding the Site should be directed to Coldcock Spirits by emailing info@zeilerspirits.com. Coldcock Spirits operates this Site to promote COLDCOCK products. To access this Site you must be at least twenty-one (21) years old. You understand and agree that Coldcock Spirits, at its discretion, at any time and without notice, reserves the right to modify, enhance, or supplement the Site or the services provided through the Site. You further understand and agree that any such changes will automatically constitute part of the services and as such, will also be subject to these Terms and Conditions unless expressly stated otherwise. You understand and agree that Coldcock Spirits, at its discretion, at any time and without notice, reserves the right to discontinue the Site, the services or both, including without limitation access to any content, products, or services offered in connection with the Site, in whole or in part, temporarily or permanently. Coldcock Spirits takes no responsibility and assumes no liability to you or any third party for any such modification or discontinuation. Coldcock Spirits hopes to make the Site available all day, every day, with the exception of scheduled maintenance. Many factors, however, impact the availability of the Site, including without limitation maintenance, system, or equipment failure or problems encountered with suppliers or service providers, and Coldcock Spirits does not guarantee the availability or functionality of the Site. In addition to the other restrictions provided in these Terms and Conditions, you may not, while accessing or using the Site, engage in any of the following activities: (a) provide false or misleading registration information; (b) harvest or collect information about any users of the Site; (c) use any bot, spider, site search, or retrieval application or automatic device to retrieve, index, data mine, or in any way reproduce or circumvent the navigational structure or presentation of the Site or its content; (d) modify the information, content, programs, or other materials on the Site or hack into or access the server or Site in an unauthorized manner; (e) frame or mirror any part of the Site; (f) use the Site in a manner inconsistent with applicable laws, rules, and regulations; (g) upload or input to the Site any information that contains viruses, Trojan horses, worms, time bombs, or other computer programming routines that are intended to damage, interfere with, intercept or expropriate any portion or system of the Site; or (h) reverse engineer, decompile, disassemble, translate, or otherwise alter any portion of the Site. This Site may link to various external websites that are not under the control of Coldcock Spirits and you agree that Coldcock Spirits is not responsible for the content, products, or services sold by any linked site or any link contained in a linked site. Coldcock Spirits does not assume any responsibility or liability for the actions, products, or content of any of these or other third party websites. Links are provided solely for your convenience and Coldcock Spirits does not guarantee the accuracy or completeness of, or endorse any content of any external Web site. Coldcock Spirits reserves the right to terminate any link or linking program at any time. If you decide to access any of the third party sites linked to this Site, you do so entirely at your own risk and in no event will Coldcock Spirits be held responsible or liable, directly or indirectly, for any loss or damage caused or alleged to have been caused in connection w ith the use of any external website. To understand our privacy practices, please review our Privacy and Security Policy which is incorporated herein by reference. Although Coldcock Spirits may provide links to external websites on this Site, Coldcock Spirits is not responsible for the privacy practices employed by those external websites. Coldcock Spirits cannot guarantee the security of any data submitted through the Internet. All content on the Site, including without limitation the text, graphics, images, URLs, script, and logos, is the property of Coldcock Spirits or its content suppliers and business affiliates and is protected under the copyright, trademark, and other laws of the United States. Nothing on the Site grants you any right or license to use any of the content on the Site without the express written permission of Coldcock Spirits. Except as may be explicitly permitted on the Site, you shall not copy, modify, display, post, upload, republish, distribute, sell, license, create derivative works from, or transmit anything you obtain or view on the Site unless you first obtain Coldcock Spirits written permission. COLDCOCK™ and the “swinging fist design” are trademarks of Zeiler Spirits LLC. All other company names and brands are trademarks or registered trademarks to their respective owners. Except with regard to personal information, all information you post on the Site or communicate to Coldcock Spirits through the Site (collectively, “Submissions”) will forever be the property of Coldcock Spirits. Coldcock Spirits shall not treat any Submission as confidential and shall have exclusive ownership of all present and future existing rights to any Submission of every kind and nature everywhere. You hereby represent that your Submission does not infringe the rights of any third party. REGARDLESS OF THE TYPE OF CLAIM OR THE NATURE OF THE CAUSE OF ACTION, YOU AGREE THAT IN NO EVENT WILL COLDCOCK SPIRITS, ITS AFFILIATES, BUSINESS PARTNERS, CONTRACTORS, SUPPLIERS, SERVICE PROVIDERS, MEMBERS, MANAGERS, OFFICERS, EMPLOYEES, AGENTS, OR LICENSORS OR ANY PARTY INVOLVED IN CREATING, PRODUCING, OR DELIVERING THE SITE OR ITS SERVICES (THE “AFFILIATES”) BE LIABLE IN ANY MANNER WHATSOEVER (A) FOR ANY DECISION MADE OR ACTION TAKEN OR OMITTED BY YOU IN RELIANCE UPON THE INFORMATION PROVIDED THROUGH THE SITE; (B) FOR LOSS OR INACCURACY OF DATA OR COST OF PROCUREMENT OF SUBSTITUTE GOODS, SERVICES, OR TECHNOLOGY; (C) FOR UNAUTHORIZED ACCESS TO OR ALTERATIONS OF THIRD PARTY CONTENT OR OTHER INFORMATION; AND (D) FOR ANY INDIRECT, SPECIAL, INCIDENTAL, CONSEQUENTIAL, OR PUNITIVE DAMAGES, INCLUDING WITHOUT LIMITATION LOST REVENUES, LOST PROFITS, LOST DATA ON YOUR EQUIPMENT, OR OTHERWISE, WHICH MAY RESULT FROM THE USE OF, ACCESS TO, OR INABILITY TO USE THE SITE OR ITS SERVICES (INCLUDING WITHOUT LIMITATION ANY SERVICE, PRODUCT, INFORMATION OR FUNCTIONALITY), EVEN IF AFFILIATES HAVE BEEN ADVISED OF THE POSSIBILITY OF SUCH DAMAGES AND EVEN IN THE EVENT OF FAULT, TORT (INCLUDING WITHOUT LIMITATION NEGLIGENCE), STRICT LIABILITY, OR MISREPRESENTATION. BECAUSE SOME JURISDICTIONS DO NOT ALLOW THE EXCLUSION OR LIMITATION OF LIABILITY OR DAMAGES, COLDCOCK SPIRITS� LIABILITY IN SUCH JURISDICTIONS SHALL BE LIMITED TO THE EXTENT PERMITTED BY LAW. USE OF THE SITE IS ENTIRELY AT YOUR OWN RISK. COLDCOCK SPIRITS MAKES NO REPRESENTATIONS OR WARRANTIES ABOUT THE SITE AND ITS SERVICES. EXCEPT AS SET FORTH HEREIN, THE SITE AND ITS SERVICES ARE PROVIDED “AS IS” AND “AS AVAILABLE” WITHOUT WARRANTY OR REPRESENTATION OF ANY KIND, EITHER EXPRESS OR IMPLIED, INCLUDING WITHOUT LIMITATION THE IMPLIED WARRANTIES OF MERCHANTABILITY, FITNESS FOR A PARTICULAR PURPOSE OR NON-INFRINGEMENT. COLDCOCK SPIRITS DOES NOT WARRANT THAT THE CONTENT OR ANY INFORMATION RECEIVED THROUGH THE SITE ARE ACCURATE, RELIABLE, UNINTERRUPTED, OR CORRECT; THAT ANY DEFECTS OR ERRORS WILL BE CORRECTED; OR THAT THE CONTENT OR ANY INFORMATION RECEIVED THROUGH THE SITE IS FREE OF VIRUSES OR OTHER DESTRUCTIVE OR HARMFUL COMPONENTS. BECAUSE SOME JURISDICTIONS DO NOT ALLOW THE EXCLUSION OF CERTAIN WARRANTIES, SOME OF THE EXCLUSIONS SET FORTH IN THIS SECTION MAY NOT APPLY TO YOU DEPENDING ON YOUR JURISDICTION. Coldcock Spirits may suspend or terminate your use of and access to the Site immediately at any time without notice, with or without cause. Any actions in violation of these Terms and Conditions may subject you to civil and criminal legal penalties and Coldcock Spirits reserves the right to seek any remedy available at law or in equity for any violation of these Terms and Conditions. These Terms and Conditions will be governed by and construed in accordance with the laws of the State of California, without reference to its choice of law rules. Except where prohibited by law, any claim or dispute shall be subject to the sole and exclusive jurisdiction of the federal and state courts in the County of San Diego, California, and you hereby consent to the personal jurisdiction of those courts and waive any and all jurisdictional and venue defenses otherwise available. Any legal proceedings will be conducted in English. If any provision of these Terms and Conditions is held to be unlawful, void, or unenforceable for any reason, that provision will be deemed severable and will not affect the validity or enforceability of any other provision. The unenforceable provision will be amended so as to best accomplish the objectives of the provision within the limits of applicable law. Neither the failure nor delay of Coldcock Spirits to exercise any right, remedy, power, or privilege under these Terms and Conditions will operate as a waiver thereof, nor will any single or partial exercise of any right, remedy, power, or privilege preclude any other or further exercise of the same or of any other right, remedy, power, or privilege, nor will any waiver of any right, remedy, power, or privilege with respect to any occurrence be construed as a waiver of such right, remedy, power, or privilege with respect to any other occurrence. No waiver shall be effective unless it is in writing and is signed by Coldcock Spirits. Coldcock Spirits expressly disclaims responsibility for any consequences related to any use, misuse, and/or interpretation of this Site or any of the information contained herein/therein. 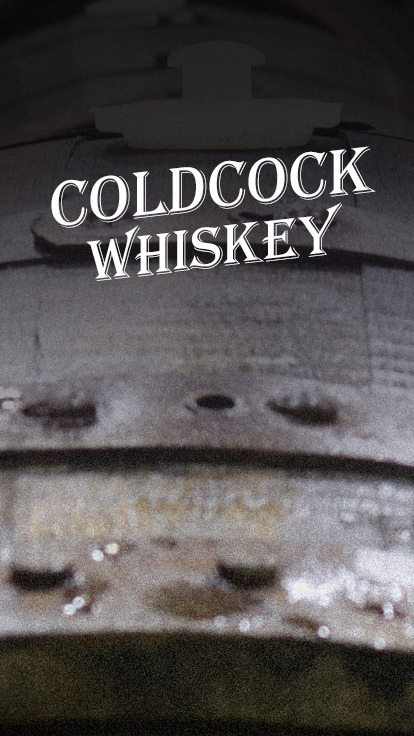 Coldcock Spirits controls and operates the Site from the United States, and all information is processed within the United States. We do not represent that materials on the Site are appropriate or available for use in other locations.